He urged his brother Jerry to establish a group to initiate Progressive Judaism in Johannesburg, which he did. 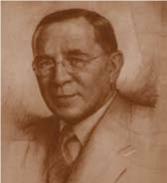 Jerry later joined his brother on a trip through Europe, where he visited Progressive synagogues and met a number of prominent Progressive Jewish leaders and Rabbis on the Continent and in England, including the Honourable Lily Montagu, who was president of the World Union for Progressive Judaism. During his travels, he was impressed by the Progressive services and inspired by Ms Montagu, who later sent him the Liberal Sabbath prayer books to use for services. On his return, he discovered the provisional committee formed before his trip was inactive and so he formed a new committee, which included Oscar Caplan, Dr Louis Freed and Sigmund Haas, among others. He conducted services in private homes during 1930, and later arranged public lectures, gave talks on the radio and wrote articles on Progressive Judaism in the Jewish and daily press. In June 1931, the South African Jewish Religious Union for Liberal Judaism was established with Jerry as honorary secretary, and a wide media campaign was launched. In 1932, through Abraham and Lily Montagu, he started negotiating with Moses Cyrus Weller, then student at Hebrew Union College under the tutelage of Abraham, who was his professor. Once he was ordained, Rabbi Weiller came to Johannesburg. It was August 1933. A Progressive congregation was soon formed and the first service was held at the Freemasons’ Hall. The foundation stone of Temple Israel was laid by the then Mayor of Johannesburg, Councillor Maurice Freeman, on 22 September 1935, and the official opening of the shul took place on 23 August 1936. The fist High Holy Day services that year brought in a large number of new members and other interested people. “During the next three years, progress was slight and it seemed that for once, the Rabbi had been too optimistic – the temple stood more like a Temple of Hope than a Temple of Achievement. But a Temple Israel Hebrew School was established and children’s services were instituted. This was completely revolutionary. The children themselves conducted the Sabbath morning service almost in its entirety, and the first such service was attended by 20 children.” And if you manage to entice the children… the parents will always follow. Rabbi Weiler’s insight and vision were clear from the beginning. As early as 1933, he was able to persuade the committee that certain principles must be adhered to with regard to membership – the most important being complete equality between men and women, and the practice of unassigned seats. “There must never be any vestige of differentiation between a rich man and a poor man,” he said. This insight followed through to all Rabbi Weiler’s pioneering activities and the committee’s visionary ideals, and as a result, Temple Israel flourished and the Progressive movement grew exponentially. Source: Tribute to Temple Israel – Celebrating 70 years. 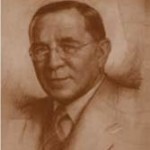 Dr Willy ”Wolfzeif” Gruisiner was the first person to have a Progressive Bar Mitzvah in South Africa. Exactly 70 years ago, he celebrated his Bar Mitzvah at Temple Israel. It was July 1936, and it was the same year that Temple Israel started operating. This July – 2006 – Willy Grusiner celebrates his 83rd birthday and he will receive an aliyah at the 70th anniversary in honour of his second Bar Mitzvah. Willie was born on July 17, 1923 in Lithuania. He and his family arrived in South Africa via Palestine in 1926 and they lived in Postmansberg, Northern Cape, until 1929, when they moved to Kimberly. In 1933, they came to Johannesburg where his father, a professional photographer, set up his studio, Eugene Studios. 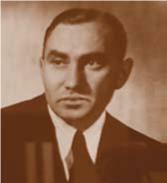 He met Rabbi MC Weiler in 1934, and studied for his Bar Mitzvah, which took place in 1936. After matriculating, he attended Wits Medical School, and he qualified as a doctor in 1947. Two years later, he started his own practise in Pretoria. Willie joined Temple Menorah (now Bet Menorah) in 1950 and was named honorary life member in 1983. He has been a council member for 56 years.